At a loss for words when someone in your life has a serious illness? Yes, I know – it’s really hard for both parties. 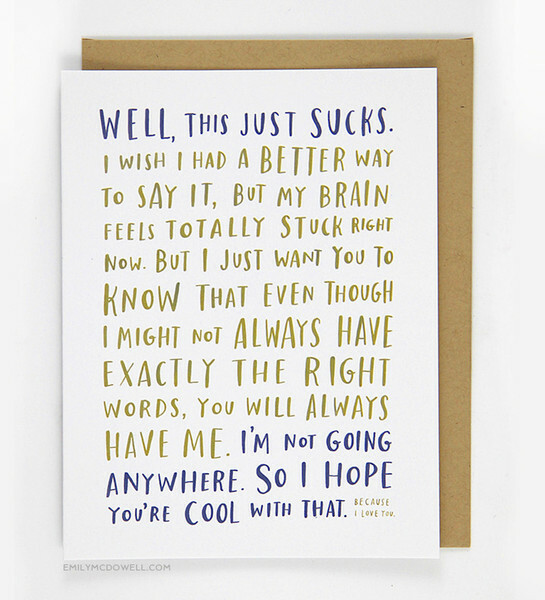 These cards express some of the best, most honest and loving reactions I’ve seen yet. This entry was posted in breast cancer on May 6, 2015 by Deirdre Straughan.